Ours is clearly not the only story out there. With the declaration of a single word, cancer, we joined the ranks of an army far larger than the world has seen. As Lenny and I walked the path of diagnosis and treatment, something became increasingly unclear. If so many millions are facing the same enemy, how is it that we have not yet conquered it? This question launched us on a quest: to beat cancer no matter the method. 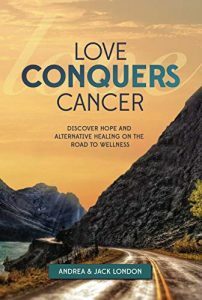 Along the way, we realized our goal was not only to see Lenny healed, but to also help others to pursue and discover ways, both traditional and alternative or unconventionally, to fight and conquer cancer. Lenny has undergone and had traditional treatment for Non-Hodgkins Lymphoma and as it is does not currently have a cure within the U.S. medical world, he has also undergone many alternative treatment methods some that are beyond our borders. It was these alternative methods that he has experienced the greatest victories. Our seventeen year journey has not always been a graceful one. I’ve also battled depression along the way, and as Lenny’s wife and primary caregiver, this has many times proved challenging for our family. This is a story about grit. It is a story about refusing to accept the status quo, the statistics and above all else, refusing to give in to a disease that has ravaged the world for far too long. It is our hope and prayer that the research and the steps that we have taken would encourage you to be your own health advocate and realize that there are many more alternative options available to you besides the chemotherapy, radiation and other pharmaceutical methods. May the pages that follow provide you with practical knowledge, indestructible determination and absolute hope for your story. Andrea’s passion for health, wellness, and a love for helping others began over 20 years ago. An accomplished real estate agent in Virginia, she has served hundreds of people in acquiring the home of their dreams. It was early on in her real estate career when she met the love of her life, Jack “Lenny” London. Together they built a strong faith-based family and love for helping others. While working with several health companies, in pursuit of a deeper knowledge and for the family’s optimal health, she realized her new passion for motivating others toward a healthier lifestyle and sharing God’s message of love with the world. When Lenny developed cancer in December of 2001, their pursuit for alternative healing for the mind, body and spirit was solidified and a new mission was formed. Their life experience of finding different roads toward healing and prevention for Lenny and motivating others toward great health inspired her to want to educate others and make a positive impact. Today, Andrea shares these life experiences through her newest book, various forms of media and speaking engagements.